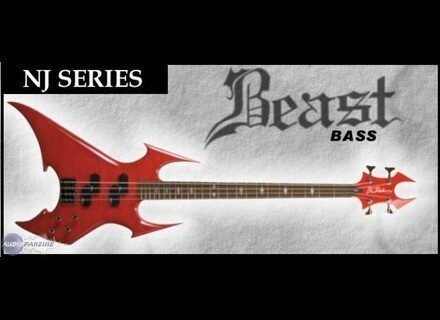 NJ Beast Bass, 4-string bass guitar from B.C. Rich in the Beast series. Excellent Low, especially for metalheads. Its price is good, because in Europe it is 700 EUR without box. Excellent and overwhelming sound.I recommend it!!! BC Rich siempre ha sido infravalorado, pero esto está mal. Son intrumentos extraordinarios y fuera de lo común. Only to play Metal Extreme! Nothin else! Great collection instrument.